I've always been interested in video game toys, largely because so few seem to exist. 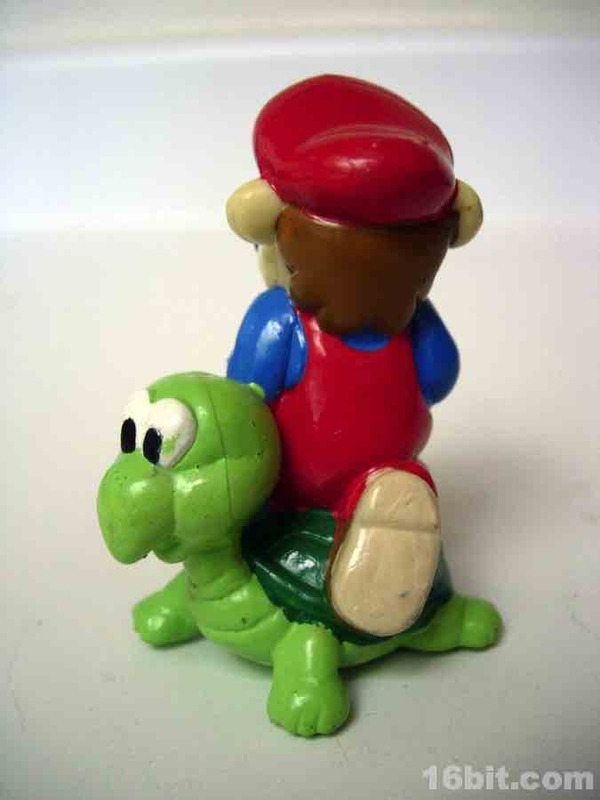 This Super Mario with Koopa Troopa PVC figure was part of a larger series of toys sold in the latter half of the 1980s, and I can't say I'm exactly sure 1987 was the right year. The figure was based on the original Super Mario Bros. game, and took a few liberties with the design of both characters. Kicking the top of a Koopa Troopa, this plastic figure is about 2 1/2-inches tall. 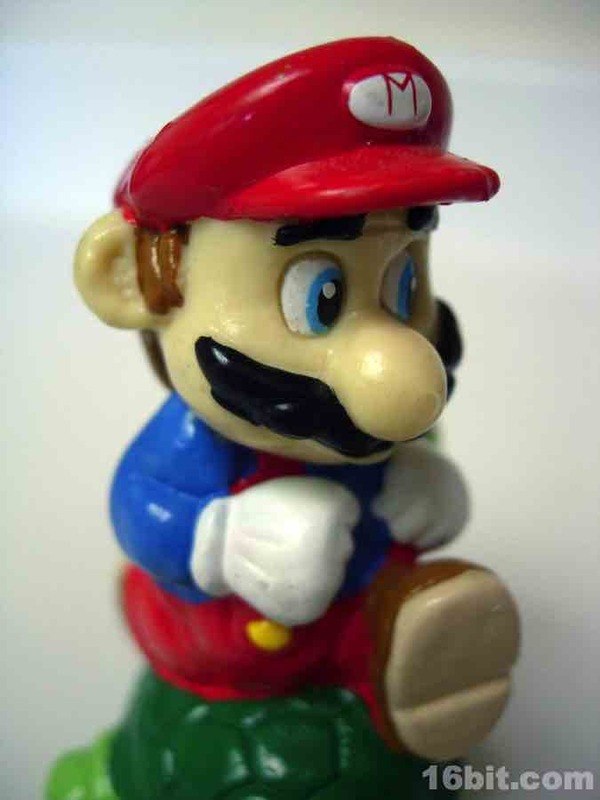 Arcade cabinets, box art, and other print representations of Mario varied widely. He continued to evolve, so you might see a design from a Donkey Kong ad that doesn't look a whole heck of a lot like the games. 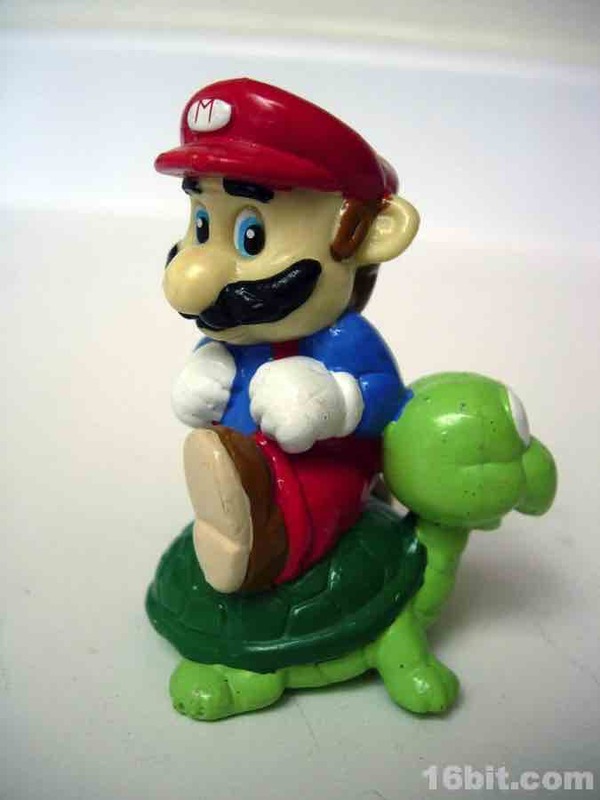 This figure in particular seems to cobble together elements from a few sources, as the coloring on Mario doesn't match the game or the box art. The coloring was similar to that in Super Mario Bros. 2 box art, specifically, his blue shirt and red pants. (In the game, his pants were blue and his shirt was red.) He has the "M" on his hat, and it's worth noting his hair is brown and his moustache is black. (This was, more or less, normal and continues to be.) I have seen variations with black hair and a black moustache online. 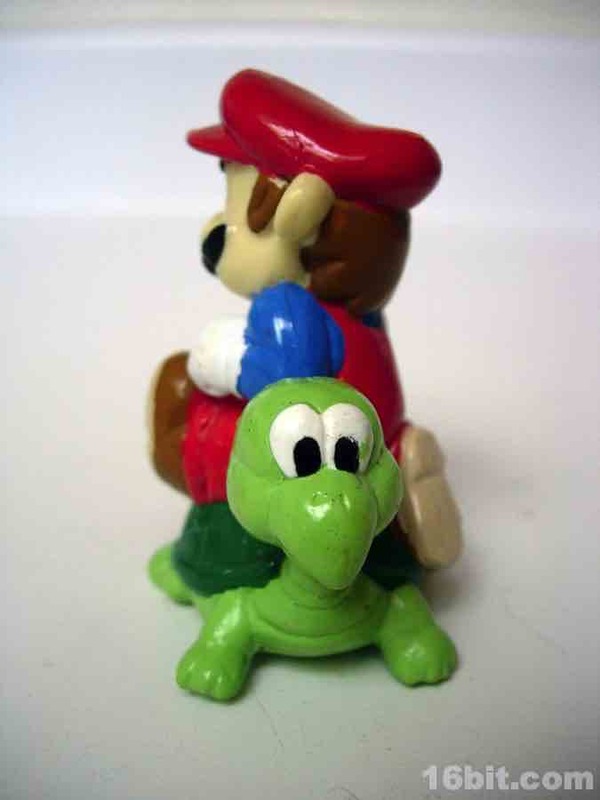 An odd addition to the figure is the Koopa Troopa as a sort of a base, with the turtle being a fine cartoon turtle without really looking like the game in the slightest. 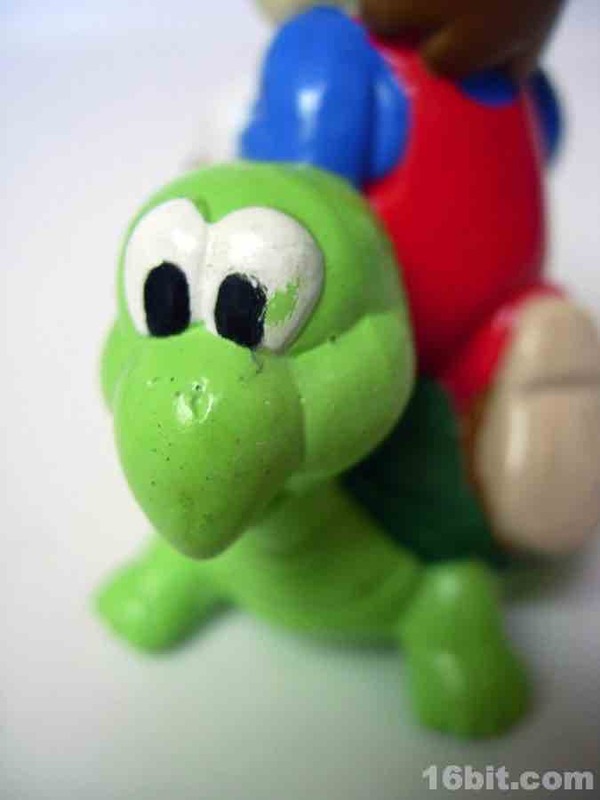 It really doesn't resemble the original Mario Bros. all that much, and it matches Mario in that both are colorful, glossy, and seemingly from a time where Nintendo wasn't quite as specific about approving the details of their biggest mascot. Today you can go to Toys "R" Us and buy a really nice carded Mario PVC figure for about $5. 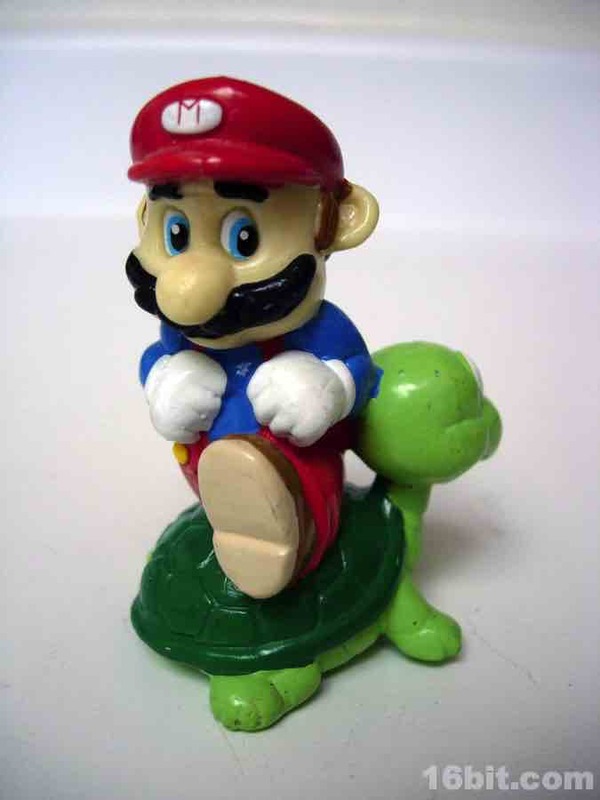 As such, there's no real reason for you to track this one down-- but if you're like me, and you remember when there was only one Mario game on the NES with "Super" in the title, it's a great souvenir from a delightful childhood memory. With no articulation and accessories, it's basically a statue. 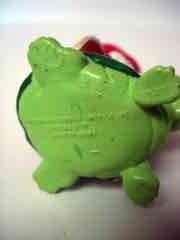 It won't do much for you, but it's nice as an artifact of a long-gone era in toys and in gaming.